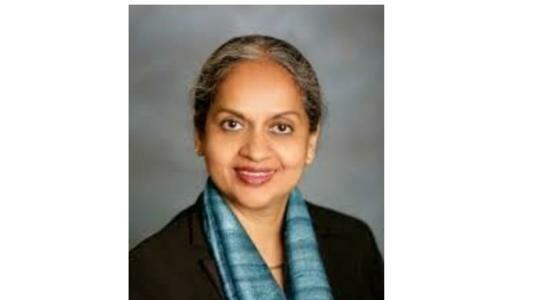 Having experienced the pain of litigation in her husband’s business and witnessed the complexities of an overburdened adversarial system very early in her career, Laila Ollapally is now highly involved in promoting mediation as a means of alternative dispute resolution. Here she breaks down the benefits of such a practice. Leaders League. Why did you decide to get into mediation? Laila Ollapally. I have always had a passion for peace. As a young girl, I can remember trying to help friends and family members resolve discord. This instinct led me to the study law at university, and then practice law in a private law firm. I enjoyed the thrill of court room arguments. However, as years went by, I increasingly began to notice the adverse impact of delays in the administration of justice, and the pain and destruction caused to the parties by the excessive use of adversarial tactics in dispute resolution. I was lucky enough to win some great orders from the courts, which had a wide impact on my community, but more often, the outcome of cases I worked on, benefitted me more than my clients. Around this time, my father was a Supreme Court of India judge and I witnessed firsthand the pressure and frustration of judges struggling with 32 million cases pending in our country. The day the Chief Justice of my state invited me to set up a mediation center for our High Court, I felt a compelling urge. Destiny was knocking and I allowed myself to be led. What trends are shaping the field of negotiation and dispute resolution? Why do you think they are important? Today there are more and more conversations on ‘collaboration’ as a better strategy for negotiation. Research has shown that collaboration creates value. I am proud that it was a woman, Mary Parker Follet, who first espoused it in 1925 by developing the concept of ‘integrative bargaining’. Subsequently in 1981, Roger Fisher and William Ury authored ‘Getting to Yes,’ which today has become the bible for negotiation theory. The happy outcome of this development is the growing trend towards building an understanding of the other party’s perspective, valuing emotions and recognizing that the ‘other’ in negotiation is a human being.The third growing trend in negotiation is the use of legal concepts to understand the BATNA (Best Alternative to Negotiated Agreement). The parties negotiate under the shadow of the law. The use of law and legal principles is increasingly recognized as a standard/objective criteria to guide parties and to leverage during negotiation, rather than a weapon to vanquish the other. What can negotiators and dispute resolution practitioners do to position themselves for the future? Lawyers of the future need to develop a range of adversarial and consensual methods to resolve disputes. They must understand the ‘law of the instrument’ and use each process appropriately and judiciously. If they are familiar with only the adversarial, they tend to use it indiscriminately and excessively, causing immeasurable harm to the litigants. What do you think are the biggest challenges people face during negotiations and how can meditators help? Firstly, the difficulty to move negotiators from position to interests. There is an inherent ‘win-lose’ assumption in negotiation, with parties presenting their position and concealing their interests. A second difficulty is that ego gets in the way all the time. Each party assumes that they are right and the other is deliberately failing to understand their perspective. This attribution error’ results in a reluctance to generate sufficient information to clarify. A neutral mediator is the third side in conflict, looking out for these assumptions and barriers. He/she is trained with skills to deal with these challenges- structure negotiation, identify interests, work with ego, bring in information for clarity, create several options and work with parties to find terms that are mutually acceptable. .
What are your thoughts on the future of mediation in India? India is well poised to push mediation and bring a shift in the mindset of parties as regards dispute resolution. The Indian litigant public have immense respect and trust for judges. Therefore, if judges are able to communicate to parties their faith in the process of mediation, parties will try it. In order for our judges to be the best guides, they need to understand the anatomy of conflict, recognize the justice in mediation and feel a passion for consensual dispute resolution. The pendency of cases is enough reason to make mediation mandatory for some disputes in India. There is already a strong motivation to make this happen. India is slowly improving in the World Bank’s ‘Ease of Doing Business Index.’ We are lagging behind in Enforcement of Contract, and mediation will certainly help since a large number of commercial disputes could be speedily resolved and made enforceable through appropriate legislation. An experience of a good mediation is the best promoter of mediation. Market forces need to operate to bring excellence in standards. Mediation can become a profession when it is lucrative enough to bring in the best talent, therefore policy and legislation for mediation is required. What’s your opinion about people who are not lawyers but who want to become full time mediators? Although many mediators are lawyers, my view is that ‘subject expertise’ is not as important as ‘process expertise.’ Mediation can be structured and designed to bring to the table all necessary experts - legal, financial, technical or any other, who can add to the information available on the table. The mediator needs the skill to structure the process, recognizing the need for expertise in the resolution of the dispute at hand. Find out more interview of key leaders in our publication "Arbitration & ADR" to be released very soon!